Our wonderful journey ended on June 15 when God called Pat, my wife and love of my life, home to Him after a brave and courageous battle with pancreatic cancer. Pat was born to William Hughes and Elsie Acquino Hughes on November 2, 1948 in Brooklyn, NY. She never knew her father, as William passed away when she was just one year old. She was raised by her mother and adoptive father Thomas Harrison, Jr. She was a 1966 graduate of Tilden H.S. in Brooklyn, NY. At age 20, her family relocated to Peckville. 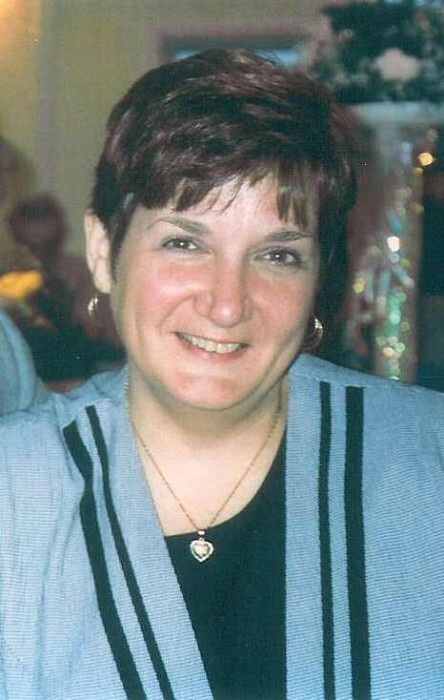 Pat had several jobs in her 20s before taking a position in the accounting department at Harper Collins, where she worked for 27 years before retiring. She was fortunate to be able to retire young which allowed her to travel extensively with her husband throughout our beautiful country. Her favorite destination was Walt Disney World which they visited regularly. Pat also enjoyed relaxing with a good book and spending time with their beloved pup Kelli. The family would like to extend their heartfelt gratitude to all the medical professionals who had a hand in Pat's care including Doctors Chu, and Loiacono, the entire staff of the ICU at Geisinger CMC, the staff of Post Acute Medical (Wilkes-Barre), and the staff at Mid Valley Health and Rehab (Peckville). Pat is survived by Bob, her husband of 28 years, who is grateful she taught him the meaning of the words "best friend", brother Thomas Harrison III and wife Sarah, nephew Thomas Harrison IV, stepdaughter Mary Zawatsky and husband Brian, stepson Keith Weinschenk and wife Danielle, as well as numerous cousins and close friends. In lieu of flowers, memorial contributions may be made to St. Joseph's Center, 2010 Adams Ave, Scranton, PA, or a charity of the donor's choice. Friends may call Wednesday June 20 from 4-7 pm at the Louis J. Rapoch Funeral Home, 420 Church St, Archbald, PA. Mass of Christian Burial will be celebrated Thursday June 21 at 9:30am at Christ the King Parish, St Thomas Aquinas Church, 429 Church St, Archbald. Interment will be private at the convenience of the family.